Many providers take it for granted that vehicle transportation means Roll On Roll Off (RoRo) ferries. After all, it’s been that way since the 1960’s, so why change it? However, whilst the car industry has been napping, the rest of the freight transport universe has been evolving. A revolution when first invented, the entire shipping industry is now geared towards safe and secure as containers. Here is some food for thought in the form of three comparisons. Feel free to add your own ideas in the comments below! RoRo refers to manually driving vehicles onto a ferry. It is notoriously cumbersome, accident-prone, and time-consuming. That’s exactly why most of us use the Channel Tunnel. 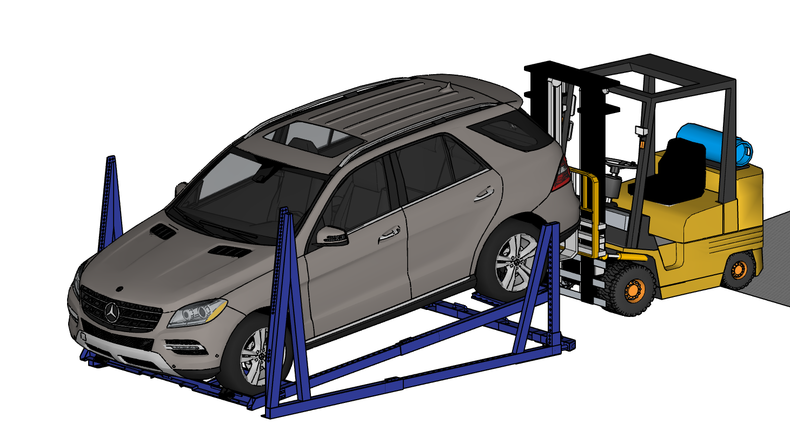 It is therefore a bit of a mystery that so many providers continue to use RoRo for car transportation, especially now that stable, efficient racking systems mean that four cars can be safely transported in one container. If you want to see how your cars are treated on RoRo ferries, brace yourselves and watch this. An example of “best practice”, the footage shows vehicles being driven at breakneck pace in order to make target loading times. 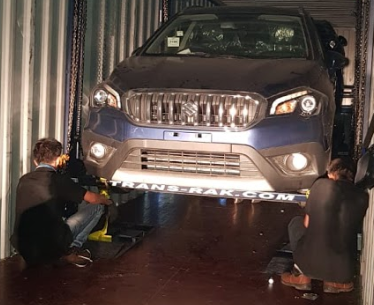 Although a good opportunity for observers to check that the break lights are in good working order, this is not the kind of treatment that customers expect or pay for. Unfortunately, hurtling the cars from dock to hold is not the only safety flaw. A fundamental design issue with wide-berth ferries can - and does - lead to very costly accidents. The combination of one unsecured vehicle and a big wave can result in major damage, a fact that is reflected in insurance costs. With carbon fibre adjustable supports, safely sealed doors, containers provide a secure and protective case around valuable vehicles. This lowers the risk of damage, and lowers premiums. 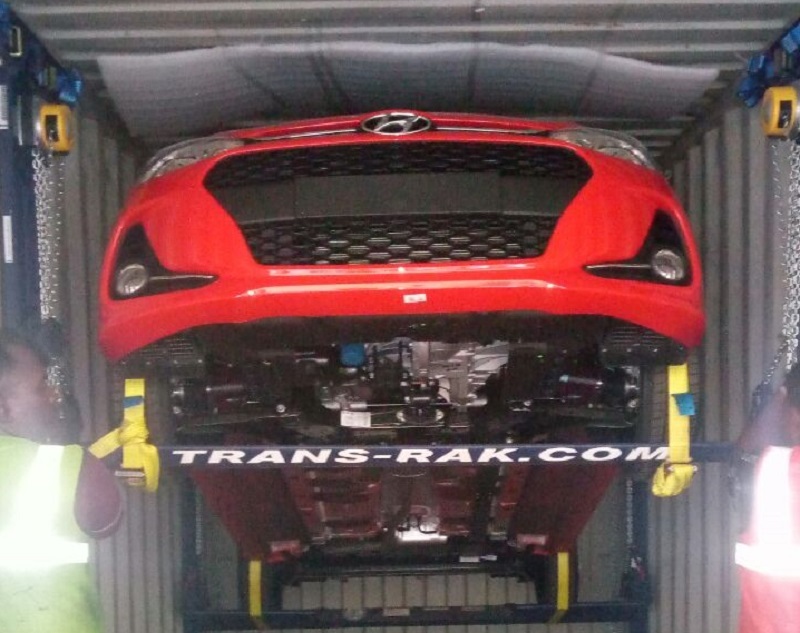 There are many reasons why R-Raks and El-Raks reduce the overall cost of vehicle transportation. 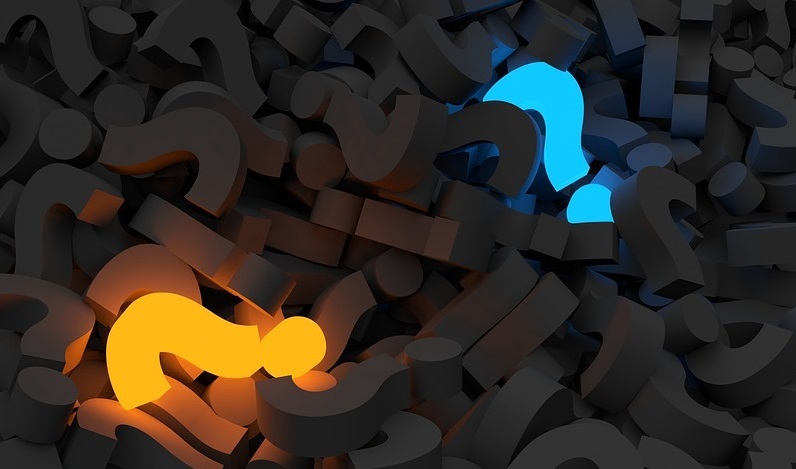 One of the primary elements is that there is a cumulative benefit. On the first shipment, the cost of new frames has to be considered. 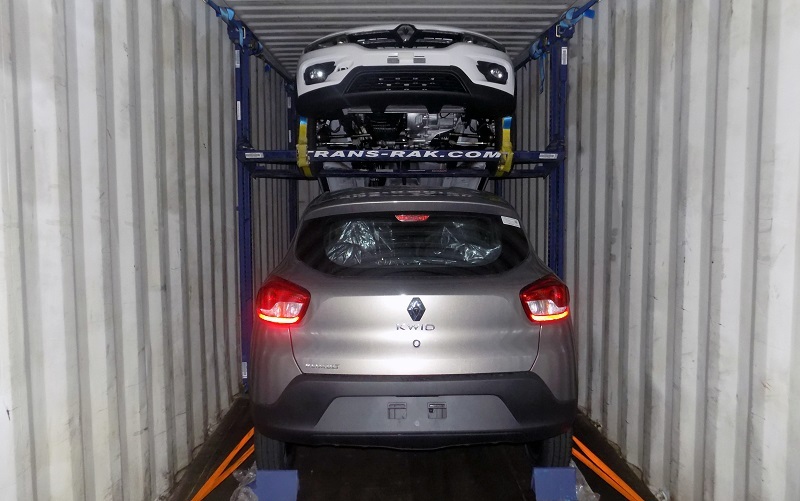 However, after that, every journey benefits from the well-established container infrastructure, and is therefore less expensive than RoRo ferries. 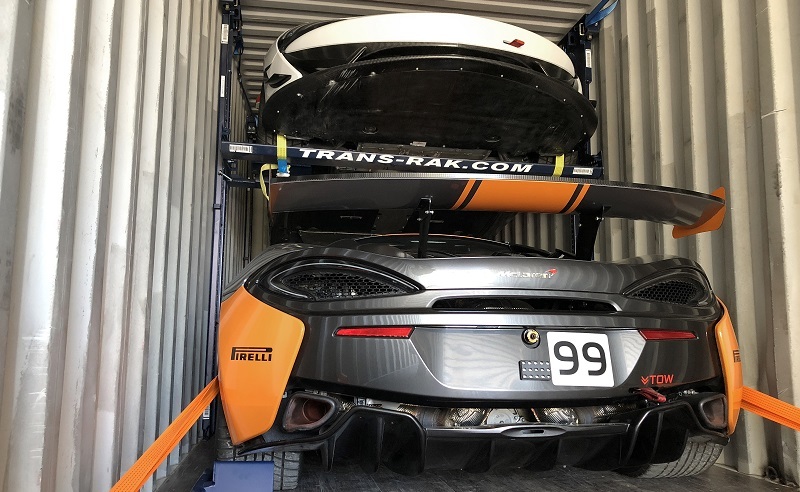 If the frames are not needed for the return journey, they can be neatly folded and shipped back, with up to 60 in a single container. This quickly leads to savings, and profit. RoRo ferries have deep hulls. This means that they are only able to access a narrow range of ports, and cannot traverse the vital Suez Canal. The result is that RoRo ferries are usually a limited element of much more complex journeys, many of which involve multiple ships, trains, and car transporters. This can cause costs to spiral, and also has a significant impact on duration. By the time that a new car rolls off the ferry and finally reaches its showroom, it has often been traveling for the best part of a year. Containers – for which the freight network is designed – expand options, and rapidly speed up transportation times. The fact that cars have lagged so far behind the rest of the transport world is one of life’s great curiosities. It’s time to overhaul the system. 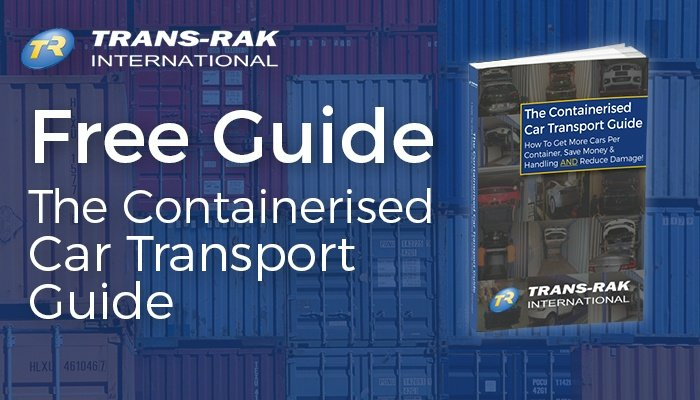 We’ve compiled detailed information into the latest research, development, facts, and figures about how containerisation can help with your transport needs into a free guide. Or, for personalised information, contact us directly.